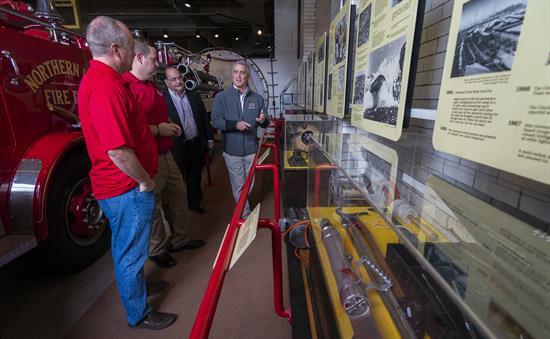 CINCINNATI– Today, Congressman Brad Wenstrup visitedthe Cincinnati Fire Museumfor a tour. “The response by firefighters on 9/11 shed great light on the everyday heroism of our firefighters. The men and women honored in this museum are heroes. They put their own lives at risk, rushing toward disaster to save others. Since the first professional fire department was founded in Cincinnati in 1853, our city has been a leader in fire safety and prevention. 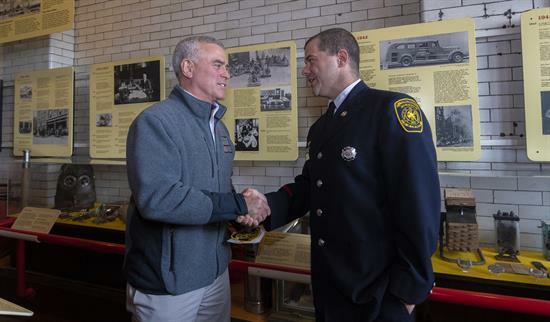 I am grateful to Cincinnati firefighters past and present for protecting us, our families, and all we hold dear,” said Congressman Brad Wenstrup. 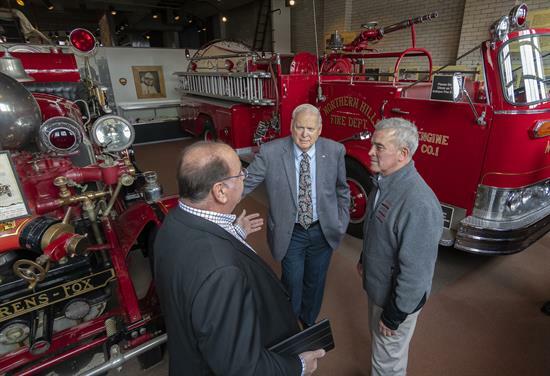 “We are delighted that Congressman Wenstrup took the initiative to visit the Cincinnati Fire Museum to learn more about Cincinnati's rich firefighting history, and the CFM's mission to educate children and their families about fire prevention and fire safety." In 1853, the first paid professional fire department in the United States was founded in Cincinnati and it changed American firefighting forever. The Cincinnati Fire Museum (CFM) was established in 1980 to preserve the history of Cincinnati fire-fighting for future generations. The Museum is renown to have one of the most extensive displays of fire-fighting artifacts in the country. The CFM serves the community through its fire safety/prevention program with its Safe House—it is a Museum that literally saves lives. For more information, visitwww.cincyfiremuseum.com.